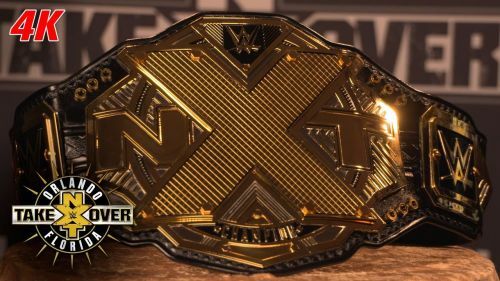 The WWE NXT Championship has become one of the most prestigious titles in all of professional wrestling as it has been held by massive stars such as Kevin Owens, Finn Balor, Drew McIntyre and many more. The future looks even brighter for NXT's top Championship. Sure, the brand has just lost 4 of its top stars (seemingly, not yet been officially confirmed on screen), but with all the new and fresh talent coming through, it's safe to say that the brand is in safe hands. From former UFC stars to independent wrestling standouts, there are a plethora of guys gunning for this Championship, and although injuries and unexpected call-ups can change the future, we feel confident in our predictions. So sit back and read along as today we attempt to predict the next 5 NXT Champions to add to the great lineage of what is becoming a very sought after prize in professional wrestling. After being called up to RAW alongside the current NXT Champion, many people figured that it was the end of the road Johnny Wrestling. However, his story has been going for 3 years now and there's no way that NXT won't pay that off. Johnny Wrestling briefly became Johnny Champion in NXT with the North American title, but he's been chasing that NXT Championship since day one, and a match with Tomasso Ciampa seemingly looms large at NXT Takeover: New York. With his promotion to RAW, his NXT Title reign won't likely be the long one that many people expected, but often, it's the journey to get to the title that matters more than the destination. That's certainly true in the case of Gargano. He's been the heart and soul of NXT ever since Sami Zayn permanently left for the main roster, and Johnny deserves this more than anyone, so expect to see his big crowning moment come in New York.